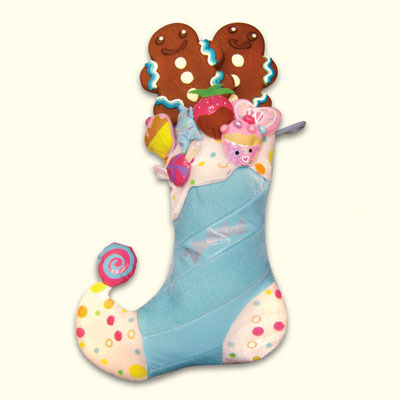 Whimsical Plush Stocking designed with our favorite 3-D treats is a "must have gift" for all the good girls & boys this holiday season. 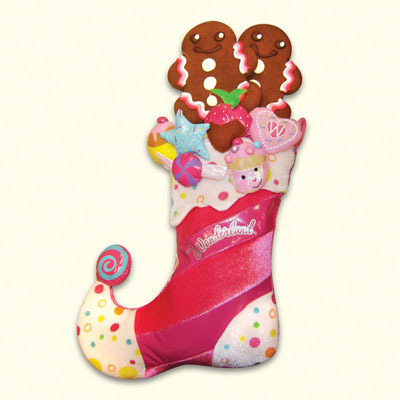 Beautifully embellished keepsake limited edition stocking from the Wonderland Bakery Collection is overflowing great taste with a pair of soft and delicious gingerbread man cookies tucked inside. 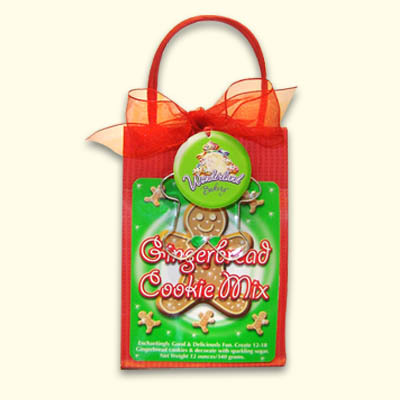 Available in pink too.